The IRA charitable rollover is a great way to make a tax-free gift. ​﻿​The IRA charitable rollover is a wonderful way to make a tax-free gift that supports healthcare in our community. To make a qualified charitable distribution from an IRA, donors must be 70½ years or older at the time of the gift. The gifts must be made directly from the IRA to Valley County Health System Foundation. do not itemize charitable deductions. 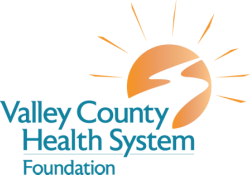 To take advantage of this unique giving opportunity, donors should make a request to their IRA plan administrator, asking that a distribution be made payable to Valley County Health System Foundation. If you need additional information or advice regarding this type of gift, please contact our office at 308-728-3011 or email foundation@valleycountyhealthsystem.org. The appropriate beneficiary designation for an IRA gift is "Valley County Health System Foundation."